It's a common misconception that Eratosthenes was measuring the circumference of the round earth in his shadow experiment. 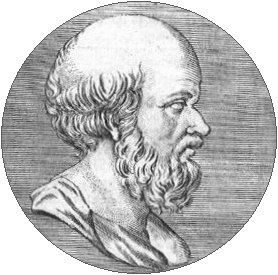 Eratosthenes had simply assumed that the earth was a sphere in his experiment, based on the work of Aristotle. He was actually measuring the diameter of the flat earth (distance across), which is a figure identical to the circumference of the round earth (distance around). We can use Eratosthenes' shadow experiment to determine the diameter of the flat earth. Syene and Alexandria are two North-South points with a distance of 500 nautical miles. Eratosthenes discovered through the shadow experiment that while the sun was exactly overhead of one city, it was 7°12' south of zenith at the other city. 7°12' makes a sweep of 1/25th of the FE's total longitude from 90°N to 90°S (radius). Therefore we can take the distance of 500 nautical miles, multiply by 25, and find that the radius of the flat earth is about 12,250 nautical miles. Doubling that figure for the diameter we get a figure of 25,000 miles. The earth is physically much larger, of course. A circle with a diameter of 25,000 nautical miles across is simply the area of land which the light of the sun affects, and represents the area of our known world. This page was last modified on 22 March 2019, at 11:26.